Great home for growing family! 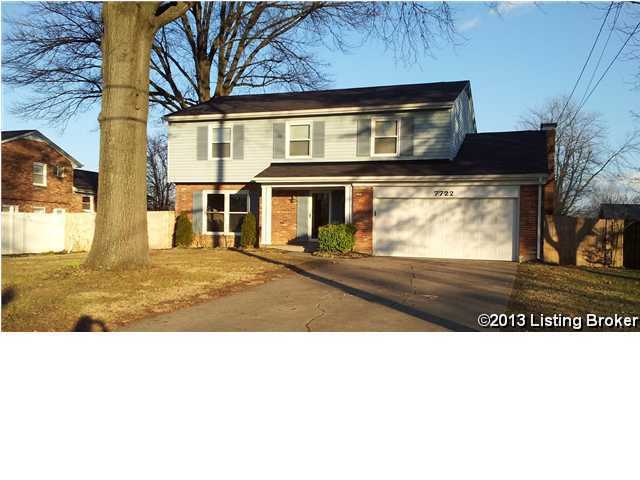 5 bedrooms, 2 and 1/2 baths, updated eat-in Kitchen and Baths. Recent updates include: replacement windows, furnace, a/c and roof. All 5 bedrooms located on second floor with Master Bedroom and Master Bath plus hall bath. Hardwood floors throughout second floor. Hardwood floors in Living Room and Formal Dining Room. Garage was an original 2 car garage. Mud room has been added to home and now garage is a 1 and 1/2 car garage. Nicely designed home with spacious back yard and patio. Direction: Bardstown Road to south on Hurstbourne. Left Watterson Trail, Right Bleemel, Left Cedar Hollow Drive. Cedar Creek is a subdivision within the city of Louisville, Kentucky. There are currently 2 Homes for Sale within Cedar Creek, with asking prices ranging from $144,500 to $210,000. The average list price per square foot of the available inventory in Cedar Creek is $95, which is below the Louisville average of $155. The Average Sales price of all sold real estate in this subdivision for the past year is $185,200. Recent comparable homes have been selling for 98.90% of their asking price. Waterfront homes represent 0.00% of the available Cedar Creek inventory. The population of Louisville, according to the 2010 Census, is 597,337. The total number of households in the zip code of Cedar Creek is 14,124, with an average household size for of 2.51 people. The total number of renter households within the zip code of 40291 is 3,433, which means that 75.69% of households in this zipcode are owner occupant households. 7722 Cedar Hollow Dr, Louisville KY 40291 is a Home, with 5 bedrooms which is recently sold, it has 2,250 sqft, 75 X 120 sized lot, and 1 Car Garage parking. A comparable Other, has bedrooms and 0 baths, it was built in and is located at and for sale by its owner at $ 0. This home is located in the city of , in zip code , this County Other, it is in the Subdivision, and Glenmary are nearby neighborhoods.